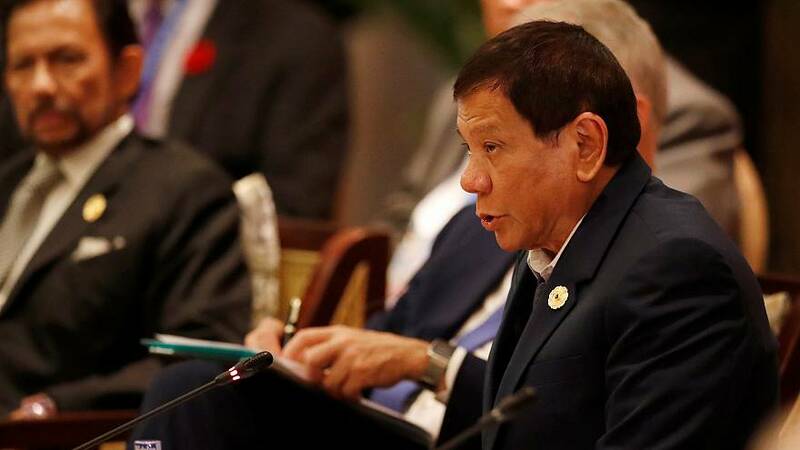 He has already inferred that he has personally executed his brand of summary justice when younger, and now the Philippine’s President Rodrigo Duterte has claimed in public in Vietnam while attending the Asia-Pacific Economic Cooperation, (APEC), summit that he’s a murderer. “When I was a teenager, I had been in and out of jail, rumble here and there. At the age of 16 I already killed someone. A real person, had rumbled, stabbed. That was when I was 16 and it was just by looking at each other. What more that I’m now a president,” he told an audience of schoolchildren. Pretty unusual international summit fare, but since his election Duterte has killed nearly 4.000 people without trial in his War on Drugs, outraging international human rights watchdogs, and he has verbally insulted western allies. US President Donald Trump has included Manilla on his Asian tour.